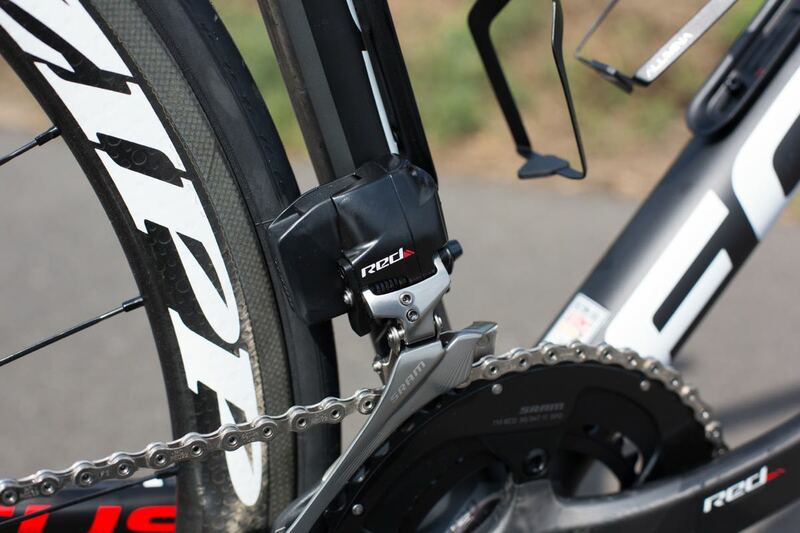 Shimano, Campagnolo and SRAM have all offered electronic shifting for several years, and FSA has recently joined them. With complete electronic-shift bikes costing from around £2,400, should you be thinking about making the move? Let's take a look at the advantages. How much more precise than mechanical shifts can electronic shifts be? Well, with a mechanical system, if you push the lever to move from one chainring to the other the front mech performs the same every time. With an electronic system the front mech acts slightly differently depending on the sprocket you’re in at the time. Take SRAM’s eTap system. When you move from the small chainring to the big chainring, the cage overshifts slightly to help the chain make the jump. Then a fraction of a second later, once the chain is up there, the cage moves back inboard to its standard position. When you’re shifting from the big chainring to the small chainring, the cage moves inboard in two stages. First, it shifts just enough to move the chain down. Then a fraction of a second later, once the chain is down on the inner ring, it moves a little further across. Doing things this way avoids the possibility of the chain coming off the inside of the small chainring. The extent to which these two things happen depends on the sprocket that you’re in at the time. Say you have the chain on the small chainring and one of the larger sprockets and you want to change to the large chainring. The rear mech lets the front mech know that it needs to overshift more than it would if the chain was further outboard on one of the smaller sprockets. The bottom line is that you get excellent shifting even under load. "Dura-Ace or Ultegra Di2 electronic gear shifting moves the chain exactly where it needs to be through a programmed front or rear derailleur position," says Shimano. "The science behind it is truly incredible and also programmable to your specific shifting preference [see below]. You make a command and the system responds accurately every time. In a race situation the reliability and the confidence it inspires can mean the difference between making a break or not." If you want to shift right across the cassette with a mechanical shift system, you need to press the lever more than once (different systems require different numbers of presses). With both Campagnolo EPS and Shimano Di2 you can shift from one side of the cassette to the other when you press and hold the lever in. It’s just a little bit easier. Campagnolo claims that, “[EPS rear derailleur] shift times are now 25% faster that than the mechanical rear derailleur (taking just 0.352 seconds to swap sprockets)”. Check out our reviews of Shimano Ultegra Di2. With Shimano Di2 you can customise the shifting speed and the number of gears the system will shift when you press and hold the lever. You can also swap the functions of the upshift lever and the downshift lever, and even the functions of the left lever and the right lever. 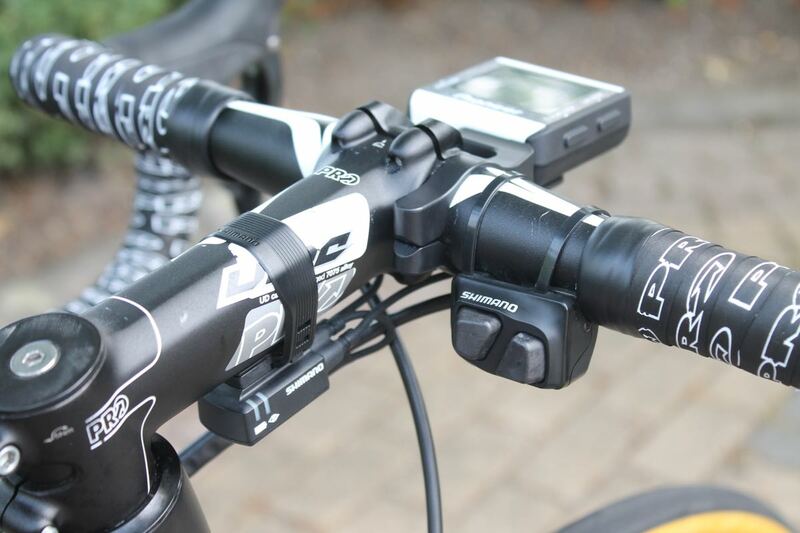 Campagnolo's MyCampy app allows you to customise shifter function in an EPS system. Once a Shimano Di2 or Campagnolo EPS system is set up correctly, no matter what sprocket you are in you never need to adjust the position of the front mech to prevent the chain rubbing on the front mech’s side plates because it is done automatically. After you shift the rear derailleur you’ll sometimes hear a whirr as the front mech moves slightly to take account of the chain’s new position, the idea being to improve efficiency and reduce wear. SRAM says this isn’t necessary with its eTap system because there’s no danger of chainrub no matter which chainring/sprocket combo you’re using. Read our SRAM Red eTap First Ride. Changing gear with an electronic system requires a far shorter lever movement than with the mechanical equivalents. You’re really just pressing a button, never needing to sweep a lever across. Moving the levers on a mechanical system is hardly the trickiest operation in the world, but it can be a bit of a reach if you want to shift across the entire range available to you. Things are just a little simpler with electronic systems. With SRAM’s eTap system the lever on one shifter performs upshifts, the lever on the other shifter performs downshifts, and you push them both at the same time to shift between chainrings. It’s a really simple system to use, even if you’re wearing big gloves or mittens in cold weather. On a road bike with Shimano or SRAM electronic shifting you usually change gear via the combined brake and gear shifters, a lot like you would with a mechanical system, but you can add satellite shifters elsewhere on your handlebar to make it slightly easier to change gear in certain situations, especially when racing. Shimano offers its Climbing Shifter that you can fix to the top section of your handlebar. It also has a Sprinter Shifter that you can fit to the drops. SRAM’s eTap system has satellite shifters called Blips that you can position anywhere on the handlebar. 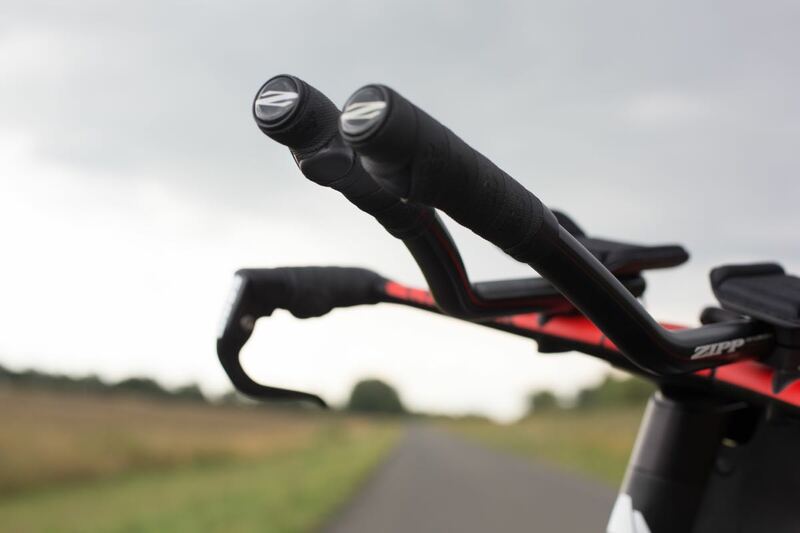 If you’re riding a time trial/triathlon bike with mechanical shifting, the shift levers will be positioned at the front of the aero extensions where they’re easy to access when you’re in your aero position. That means you can’t change gear when you’re riding out of the saddle with your hands on the base bar. With an electronic system, you can have shifters on the aero extensions and on the base bar, so it’s easy to change gear if you’re out of the saddle when climbing or coming out of a tight corner. Read our Campagnolo EPS First Ride from way back when it was first launched. With an electronic system there’s very little routine maintenance and you’ll never need to replace a cable. Little, if any, tuning is required after the initial set-up. Even that initial setup is very easy with SRAM’s eTap system. It’s wireless so there’s no need to route cables through your frameset. Mechanical shifting has been working fine for many, many years and it will continue to do so, and it’s considerably cheaper than an electronic setup. If you don’t find the benefits we’ve listed above compelling enough to convince you to change to electronic, no component manufacturer is going to stop offering mechanical shifting any time soon. One of the most frequent objections to going electronic is the possibility of running out of charge mid-ride. That’s unlikely to happen unless you really don’t concentrate. You’ll get hundreds of miles between charges on every electronic shift system, and plenty of warning that you’re low on juice. Even if the battery does go flat, you can manually put the chain into the gear you want and ride home singlespeed. Of course, you don’t need to make the switch to electronic shifting. "You can also get precise, fast and accurate shifting from Dura-Ace, Ultegra or 105 mechanical gears," says Shimano. "In this sense, as well as making a command – ie pushing the lever – you also operate the system by pulling or releasing a cable. "There's a certain art to setting up your drivetrain manually to get this level of efficiency. A lot of riders prefer to know how to operate every individual component within their drivetrain, which is easier with a mechanical system. "With each type of shifting having its merits, the question is whether you want to command your drive train through the push of a button, or to physically operate it using a lever. Perhaps the answer is to have both depending on the particulars of your ride." Most people we know who have tried electronic shifting for a significant period of time want to stick with it, but the choice is yours. I've used them once and I was instantly converted. Once I can afford it my next bike will be Di2 (Genesis Datum). Wireless should be less than £1k. From Wiggle if you have platinum. January apparently. That's assuming you only buy the shifters and mechs etc. Agree that wireless is the future. In the same way that concealed cables quickly became the norm. Give it a few years and all the wired systems will look horribly dated and Shimano/Campag will make a shedload in selling their new wireless ranges. Far easier to do the setup for a home mechanic than on a mechanical system - particularly the front mech. The only downside for me is the aesthetics of an external cabled system. If you have an internal routed frame fair enough but then if anything goes wrong its likely to be a bottom bracket out job, not a roadside fix. Looks like SRAM Wireless will fix both these issues, it just needs the option for a bigger cassette as currently it maxes out at a 28 cog. Have grown to love the 32 I have on my Ultegra Di2 install. That's probably the only thing stopping me from switching to SRAM once its released. Hold on there everyone! While personally I have never used electronic shifting, I have spoken to many people who come into my shop who do. I would say that atleast 1/3rd simply dislike the system (mostly Di2) or are indifferent. The main complaint is that it simply lacks feel, espically while wearing gloves. How long before we get 'force feedback' in the levers like in a playstation* controller? I've always been disappointed by how big and ugly the wired systems are - the photo of the Di2 climbing shifter is a good example. Big, bulky units strapped to the bars and stem, and wires everywhere. The SRAM stuff is definitely a step in the right direction, although there's a part of me that feels that electronic gears somehow compromises what is otherwise an entirely human powered and operated machine. For the kind of cycling I do (mostly tandem touring and solo time trialling), I see absolutely no compelling reason to convert to electronic shiffting. For the former, the Rohloff hub has too many advantages for the tourist to revert to a derailleur based system. For the time trialling, I find my shifts are precise and effective using my regular bar end cable levers. And I'm still on 9 speed cassettes on my aero wheels. For my road bike riding, I'm using Campag 11-speed and that works well for me. Cable systems have the advantage of being easily bodged backinto action if you have issues out on the road. My opinion might be rather more nuanced were I to do road racing, I guess. Right now my dream bike is a naked titanium frame with discs, hydro pipes routed internally and wireless eTap. Nothing to spoil the frame at all. Why don't you just get a titanium track bike then? I appreciate all the benefits listed but I'm personally not convinced that I need them or a top of the range groupset, especially when I compare myself against guys I know who do have them and who are slower than me. How long *is* the battery life on these? And how convenient is it too charge them. You've got at least 3 devices to charge up. I'm fortunate enough to run a Di2 system on my bestest bike and it is an absolute joy to use, one of the rare instances of my experience living up to the hype of product review journalists hopped up on orange squash. Do I need it? No, but like mrchrispy says, sometimes there is just a simple pleasure in owning a really nice piece of tech, especially when that tech operates flawlessly. Battery life depends on usage but I've charged mine once in 2000+ miles over the last 6 months. It's no more difficult than plugging a usb cable in. The hardest part is remembering where you've put the sodding cable for safe keeping! I'm probably slower than you, and have Di2. I don't ride it to be quicker (it isn't), but because it makes my riding more enjoyable. It annoys me this "only buy nice kit if you race/are amazing" attitude. If it makes you enjoy your riding more, then what's the problem. I've recently built up an 11spd 105 winter bike. Really impressed with that groupset (better than my older Ultegra group), but when I get the best bike out, it really emphasises how much I prefer Di2. Had a play with the SRAM Etap recently. Very impressed. 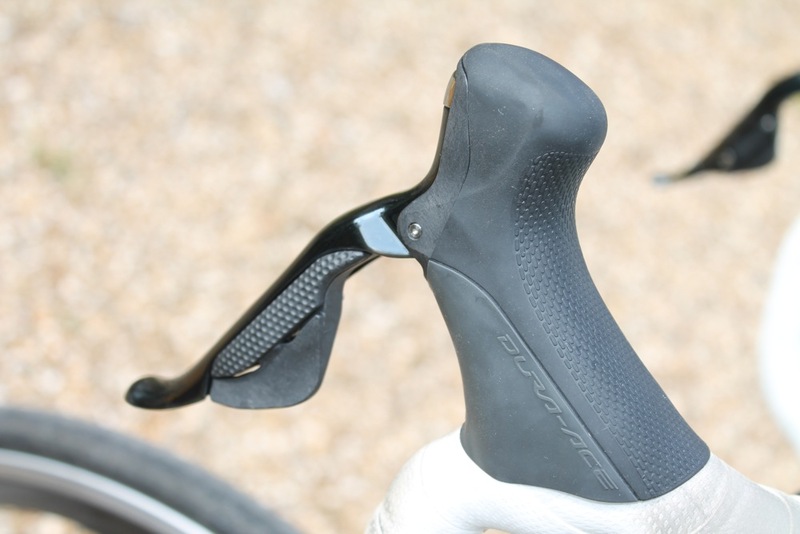 It does have a nicer lever feel (a definitive click) than Di2. It will be interesting to see if it trickles down to force next year (Rival after?). At the moment, you can get an Ultegra Di2 full groups for £750. SRAM red is going to be pretty pricy in comparison. I don't ride it to be quicker (it isn't), but because it makes my riding more enjoyable. It annoys me this "only buy nice kit if you race/are amazing" attitude. Fair point My initial comment stemmed from the fact that I was looking at the guys with Di2 and thinking "How is this actually benefiting you?" but after reading your comment I understand it a little better. I'm a sucker for quality kit myself and so I guess it's not too different. Stupid article title. Most people definitely shouldn't switch to electronic shifting as it's expensive, while mechanical shifting has been around for 100 years, proved to be very reliable, and performs extremely well. I will admit, electronic shifting is ideal for two markets: professionals, and the "all the gear, no idea" brigade. Hmmm, I'd argue that it's more relevant to consumers that don't have a pro mechanic to make sure their mechanical setup is perfect before every ride. For me, it's just better. Yes, it's expensive (mine came on a second hand bike) but i'd rather spend an extra couple of hundred pounds to get Di2. Which spread over the time i'll own the bike and the hundreds of hours that will spend on said bike probably isn't too bad. I may not be a super quick racer, but I am a massive bike geek and generally have an "idea". Probably more than you do. Bad attitude... Might the OP have been referring to the eTap system??? I have got a little bit of an idea. I like progress, new technology etc. Battery life really depends on how often you use them so the terrain that you're riding will have a big effect. However I hear good things, a lot of the Transcontinental riders swear by it and power/charging things for them is a major PITA. On the eTAP system the front and rear derailiers each have a rechargeble batter that unclips and sits on the charging station (wherever you want) to be recharged. They take about 45 mins each. The shifters have CR2032 batteries in them. From my point of view, three points were stretched out into eight to make it more enticing for debate: improved shifting, more positions, and less maintenance. All of them are comfort points. Even (less than a tenth of a second) faster shifting is unlikely to yield a discernible performance advantages. Nice to have, for sure. The reviews sound great, and people I know swear by it. But it's probably not worth the price differential for me at this point. Particularly since I have a feeling that prices will fall significantly (as with nearly every newly electronic device a few years out from being brought to market) as economies of scale come into play and new players shill out their wares. For now, though, you can upgrade a lot of carbon with that eTap money, with more tangible performance and comfort benefits. Also, niggles have to be worked out: Shimano wireless rumours abound, eTap is missing WiFly and I still don't trust SRAM hydro brakes, FSA continues testing what is no longer the worst-kept secret in cycling, ceding that title to Campagnolo. Meanwhile well set-up mechanical shifting is better than ever all the way across the price range. Still, I'll obviously be checking back to see where things stand when it comes time to buy my next bike. What is it with this attitude towards people who want the best that they can afford?? I'm no pro and probably only have a very little idea, but, I like nice things. I'm sure i wouldn't be any faster with a 10 speed veloce, but trust me, I feel a helluva lot happier riding around with super record. I came back to check on the discussion but I couldn't find the post anywhere in the front page. Clicked through news (had to scroll to the next page to be sure), reviews, and blogs before I finally clicked on features. I'm not trying to be a retro-grouch (though these last two posts do not portend well for my future), this is just an FWI in case anyone from the road.cc team is listening in. I have tiny fingers and have difficulty reaching mechanical shifters to get enough leverage to push effectively. And even then pushing the chain up takes me effort and can cause the stearing line to deviate a little.